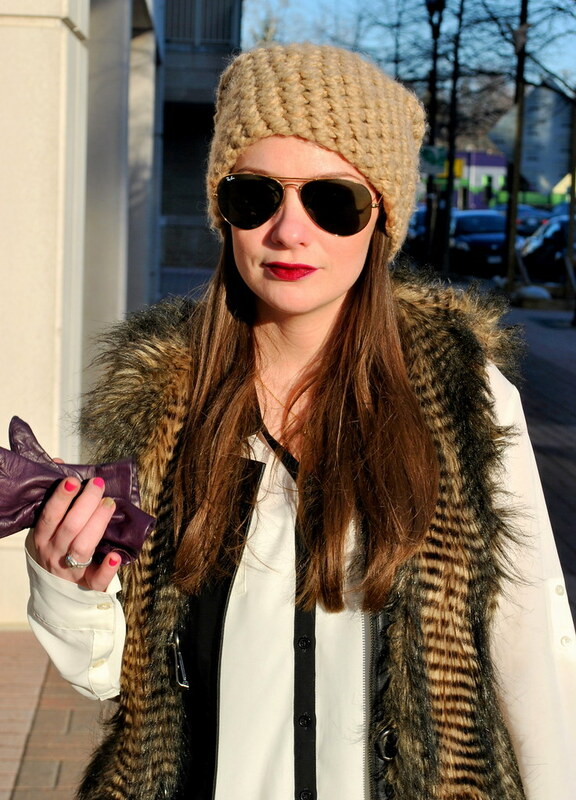 The deets: Seams to Be hat (c/o); GAP jeans; Ray-Ban sunnies; Express blouse; ABS Allen Schwartz vest; J.Crew gloves and boots; Steve Madden bag; Lancome "Pretty Burgundy" lipstick. Don't let the sunny pictures in this post fool you. It was effing freezing this weekend, people. EFFING. FREEZING. Hand-knit hats, leather gloves, tall boots, fur vests, and hot tea were in order (more on the faboosh tea sesh tomorrow). Hope you all enjoyed the long weekend. 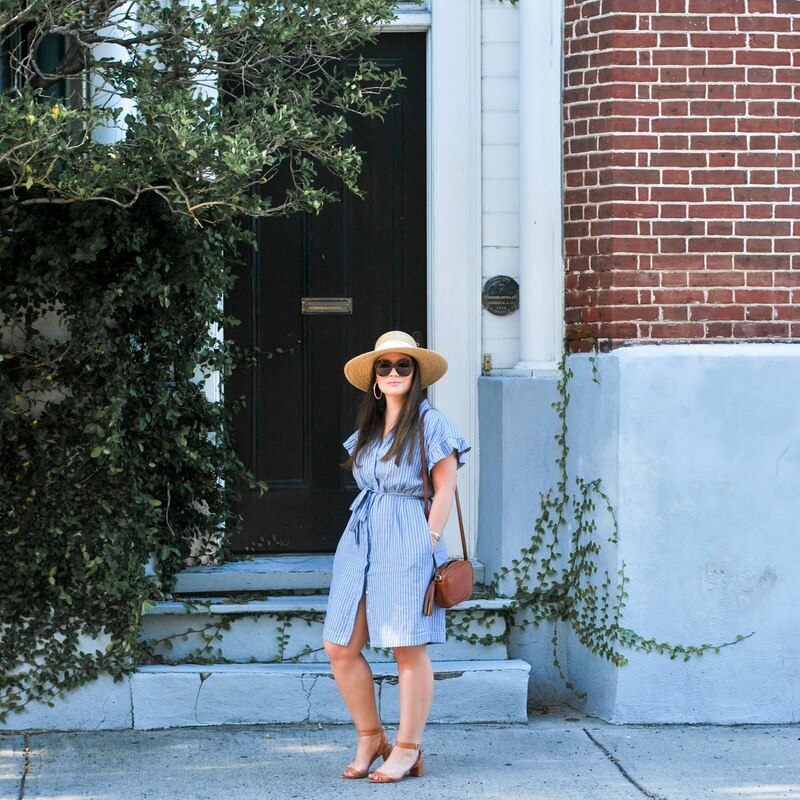 You can also catch Currently Coveting on Twitter, FB, Instagram, Bloglovin, and Pinterest! Slightly (completely) obsessed with this outfit. Every. Single. Element. And the combination. Ah! SO SO CUTE! I love your vest. Gorgeous outfit. 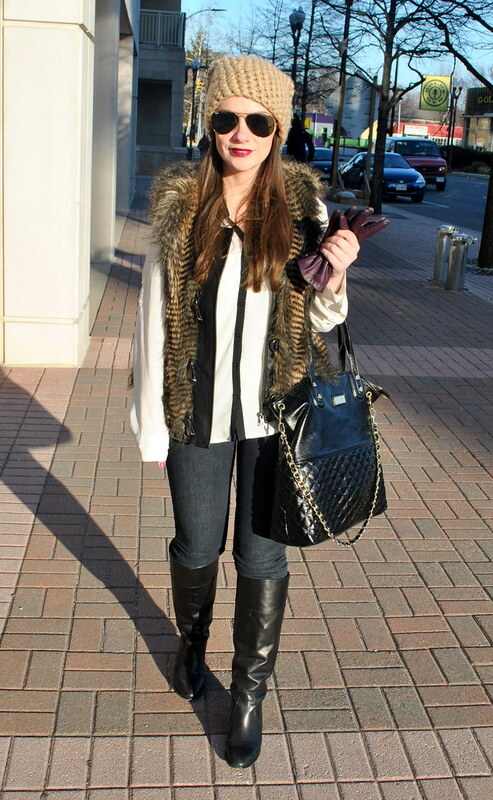 Love all your layers, and that fur vest is SO fabulous! 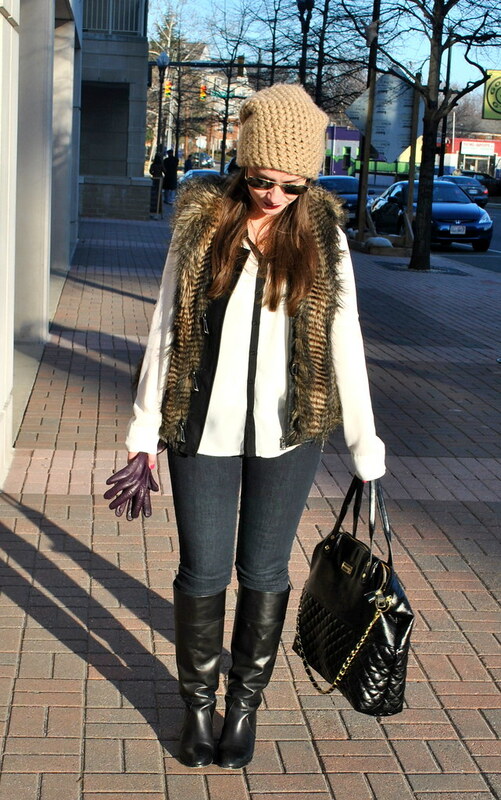 Love the layering and vest- you look great! I love this whole look...the lipstick shade is perfect on you! How do you look so cute in floppy knit hats?! It's remarkable, really. So cute, but seriously, it was SO cold. I don't know how you stood outside to take pictures without a HUGE coat! I'm impressed love! You look so cute! I wish I could pull off hats as well as you! love this entire look! i have a scarf from seams to be and it's one of my favorites, so comfortable and warm! and no joke, this weekend was sooooo cold. i only left the apartment once.